DRIKA Farm was founded in 1996 by Evagelos N. Drimtzias and Katerina Kaparaki. 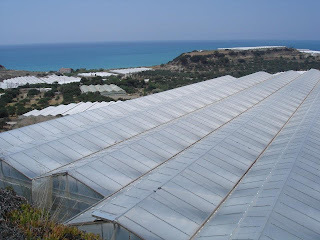 DRIKA Farm's facilities are located in an area of ​​9,5 Ha on the site Ammoudares -Ierapetra, Crete,Greece, 200 meters from the sea side.Its production focused in Mini Cucumber. In 2006 the second level of investments was implemented (upgrading heating oil to LPG, a thermal, freezer, packing). In 2008 the enterprise was awarded the GLOBALG.A.P. Certification by TUV HELLAS (TUV NORD) Certification Body. In 2011 DRIKA FARM became a proud member of The DKG Group of Companies and Initiatives in order to complete the whole chain "from the farm to the shelf". 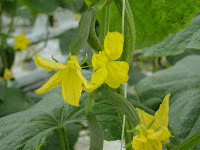 Our Mission is to produce premium quality fresh hydroponic products. We constantly strive to exceed our customers’ expectation through unparalleled commitment to quality produce and sustainable growing practices. Our Vision is to add true quality of life to our customers by providing them healthy, nutritious, tasty and safe products every day which are good for both people and the environment.